1978-2018 – China Celebrates 40 Years of Reform and Opening Up. This year marks 40 years of Reform and Opening Up in the People’s Republic of China. The achievements of the Chinese nation since 1987 are truly noteworthy. 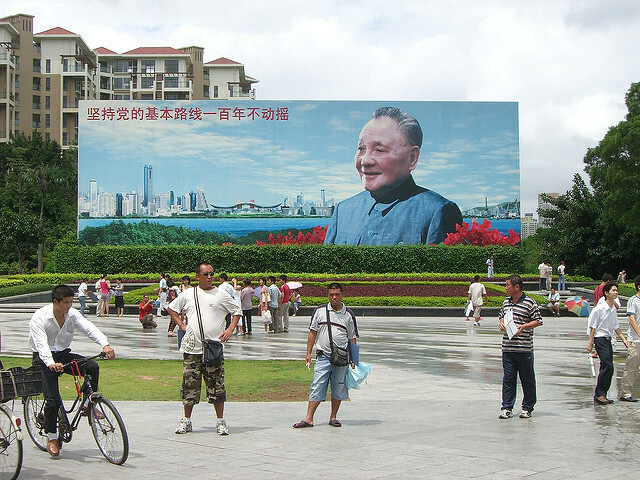 The PRC came off a series of natural, economic, and political disasters during the first 30 years of its existence that would have left other countries poverty-stricken and in ruins. Yet starting with the reforms in agriculture promoted by Deng Xiaoping in the late 1980s, the genie of Chinese economic power and recovery would never go back in the lamp, but would perform miracles that could only be considered magical. Agriculture reform and privatization of peasant plots resulting in a reported 25% increase in agriculture production was accompanied by the promotion of entrepreneurship and the admission of foreign capital into the PRC. These three activities followed quickly by the establishment of special economic zones acted to unleash the economic power of China and its energetic population. In the course of the first 40 years, some 800 million people have been lifted out of poverty and the PRC has become the world’s #2 economy. Incomes have risen and China has become a consumer society with a high-speed rail network, wealthy first and second tier cities, a vibrant education system, a modern downsized and capable military, a space program, and a citizenry that travels to all cities around the globe. To many, including President Xi Jinping, this first 40 years is just a prelude to the next 40 years in which China will become a “moderately prosperous society” taking its place and exerting leadership on the world stage. This strategic vision of China’s future was laid out by President Xi at the 19th Party Congress held in Beijing in 2017. In Mr. Xi’s vision, China’s Belt and Road Initiative will bring greater prosperity not only to China, but to all who participate in it. BRI shows China’s commitment to globalization at the exact time when other countries are looking inward and ignoring the bigger global picture. China intends to continue Reform and Opening Up, not just with BRI, but also by easing restrictions on foreign investment and capital and by adding a further special economic zone in the form of the Hainan Free Trade Zone. The next 40 years will indeed be eventful for China and her people. Please let us know your thoughts on this matter. 68 Years Have Passed Since Mao Zedong Decleared the Founding of the PRC. 前 前の投稿: Person of Interest : AMLO, President-Elect of Mexico. 次ページへ 次の投稿: A Most Dangerous Time.